On a drizzly spring day in Boston earlier this month, three dozen musicians mingled in the President’s Library of the New England Conservatory (NEC), one of the most prestigious music institutions in the country. The weather did not dampen the infectious enthusiasm in the room. After all, 10 of these musicians were about to mark a milestone: graduation from the competitive Sistema Fellows Program, an initiative born out of El Sistema and made a reality by the TED Prize. Teenagers love to text—their thumbs pound out an average of 3,339 texts per month. Crisis Text Line turns this into a way to help teens through their hardest times: family issues, stress or suicidal thoughts. Trained counselors text back and forth with advice and resources—and, in the process, collect (anonymous) data that could lead to better policy to protect teens. Crisis Text Line gets 11,000 messages from teenagers in distress a day—the service will respond to its 2 millionth message this month. And founder Nancy Lublin says the service simply wouldn’t exist if she hadn’t been asked to give a TED Talk about it. The Huffington Post reported today on the wealth gap created by student loan debt. There are some frightening insights based on the Pew Research Center report titled “Young Adults, Student Debt and Economic Well-Being”. A record 37% of households head by an adult under 40 has student loan debt. Another piece of staggering data is that college graduates without college debt in the same age group have a typical net worth 7 times higher than those with student loans to pay back. I can attest to the increase burden student loans are having on young adults. In the last year, I have counseled more young adults weighed down by student loan payments. As a result of this debt my young adults clients are choosing to live at home with parents or find multiple roommates to make ends meet, delay purchasing a home, buying used cars or relying on public transportation. Very well stated. Having worked in education for years and operated my college planning service, I coach from the same point of view. Senator Elizabeth Warren has co-sponsored a bill which would allow borrowers to refinance their federal student loans and take advantage of the lower interest rates that are currently available. She discussed the bill in a CBS News interview yesterday. Watch the interview here. 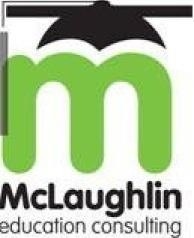 Head For College is the website for McLaughlin Education Consulting, a college planning service, offering college admissions, financial aid/scholarship and student loan/consolidation counseling for those interested in an undergraduate or graduate degree.